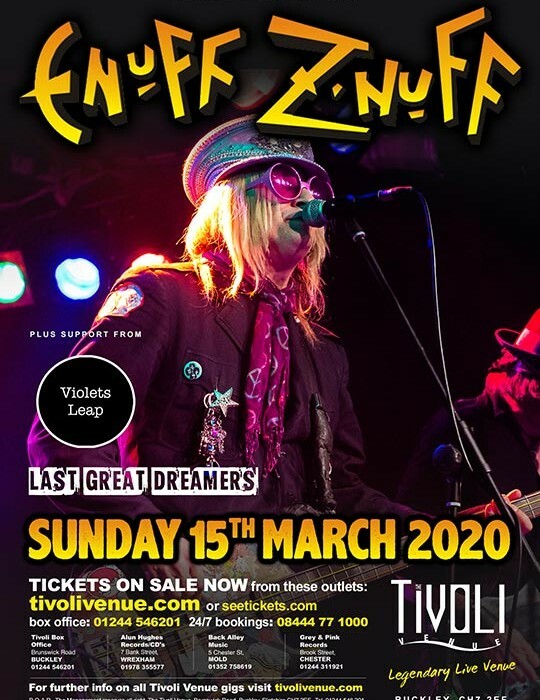 Back by popular demand for a second consecutive year, colorful pop-metal outfit with a sizable cult following, Chicago’s Enuff Z’nuff. They emerged in the late 1980s during the waning days of the glam metal scene, but their sugary melodies and keen power pop smarts hewed more closely to artists like Cheap Trick, Elvis Costello, and Badfinger. Not to be missed. SKU: ENF_200315. Category: Enuff Z'Nuff Tickets. 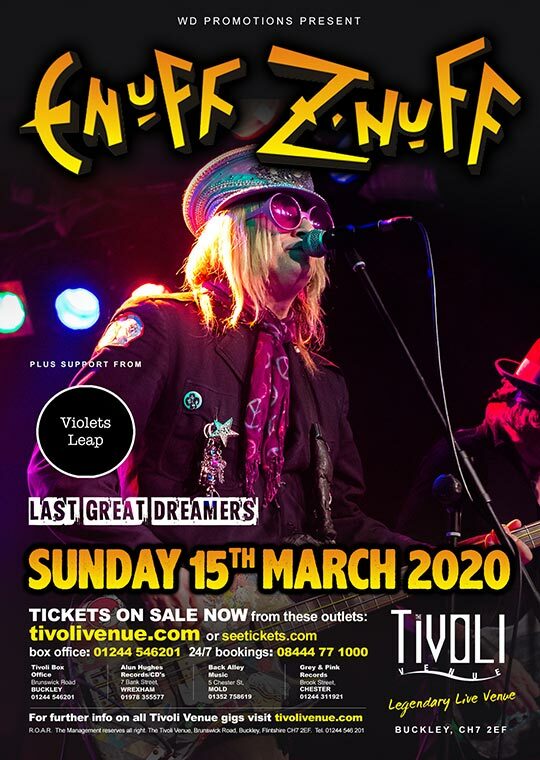 Tags: Enuff Z'nuff, Glam, Glam Rock, Last Great Dreamers, Metal, Rock, Violets Leap.